I was lucky enough to be enjoying a tour of the Potteries Museum and Art Gallery as staff were putting the finishing touches to its new Titanic exhibition. As the centenary of the disaster approaches, bosses at the city centre venue are understandably hoping for an increase in visitors riding, if you will pardon the pun, on a wave of nostalgia for the ill-fated liner. But what struck me most about the display was the way in which people were being asked to vote on who they thought was to blame for the demise of the ‘unsinkable’ RMS Titanic. Pictures of some of the ship’s officers are pinned to the wall – along with details of their role in the doomed maiden voyage. This is a novel approach to telling the Titanic story through the people whose actions (or lack of) contributed to a catastrophe which captured the imagination of the public in 1912 and which endures to this day. Among the suspects is the skipper who is, of course, the sole reason why one of the most land-locked cities in England is staging an exhibition to mark this most horrific of maritime disasters. Captain Edward John Smith, from Hanley, Stoke-on-Trent, was given the plum job of sailing the White Star Line’s luxurious new ship from Southampton to New York. When news of the liner’s fate first reached the UK, my predecessors at The Staffordshire Sentinel wrote in glowing terms about the man dubbed ‘The Millionaires’ Captain’ – so favoured was he by the great and the good. Smith was described thus: “He is one of the most experienced commanders and his knowledge of the Atlantic and its moods and phases is perhaps unique”. Our report of April 15, 1912 – the day after the Titanic struck an iceberg – went on to speak of him as “exceedingly popular with his officers” and admired for his “tact, firmness and professional skill”. Sadly, I reckon our city’s relationship with Captain Smith and, indeed, with the Titanic will always be a uncomfortable one. It should have been a voyage that went down in history as a feather in the cap of our city. Instead it was the great ship itself which went down in the icy waters of the Atlantic – bringing ignominy to one of our most famous sons. Despite various inquiries and new evidence unearthed since the wreck was discovered in 1985, many questions remain about an event which has been immortalised in poems, books and by Hollywood. 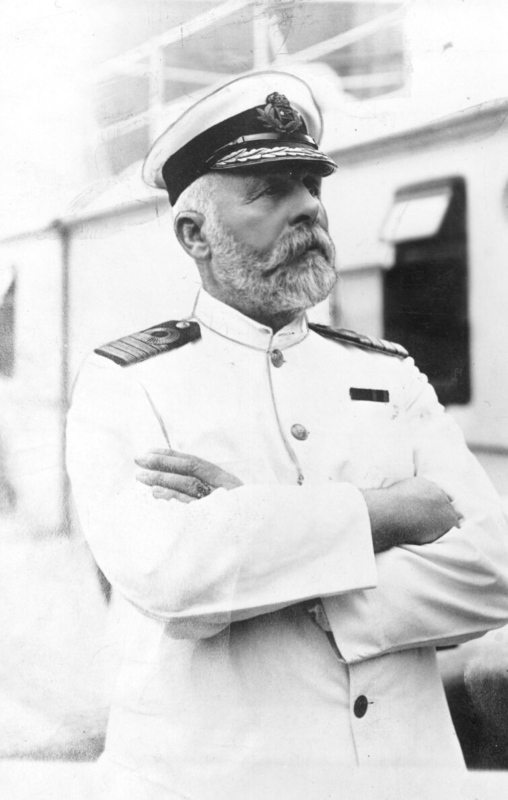 The bottom line is that, like it or not, Captain Smith, from Hanley, was in charge of the Titanic on the night it sank with the loss of 1,517 lives. No attempt to apportion blame on outdated safety procedures, inadequate numbers of lifeboats, missing binoculars or various members of the crew can free our man from that heavy burden. You cannot rewrite history and I, for one, am glad that Captain Smith’s statue is in Lichfield. I can’t think of any reason why Stoke-on-Trent would want to commemorate this unfortunate man beyond the plaque tucked away in Hanley Town Hall. Our connection to the Titanic is nothing to be proud of – rather it is a quirk of fate. Captain Smith just happened to come from Hanley and just happened to be the top man on the Titanic when it sank. He didn’t design the vessel. He didn’t build it and, despite various romantic stories, we don’t know for sure how he conducted himself during those final two hours after his ship struck an iceberg. It would be a different story entirely if he had personally rescued third class passengers from below decks, carried a dozen children to safety or ensured better use was made of the pitiful number of lifeboats the Titanic had. The fact is we just don’t know what happened to the man who was at the centre of this awful human tragedy. As a city we understandably celebrate the fact that the man who designed the fighter plane which helped to turn the tide of the Second World War comes from our neck of the woods. But Captain Smith of the Titanic is no Reginald Mitchell of Spitfire fame. To my mind, he was simply a man in the wrong place at the wrong time. It seems incredible to me that in the year 2011 the Anglican Church is still having meetings to discuss whether or not women should be allowed to be bishops. The Lichfield Diocesan Synod met at the weekend to debate and vote on this motion. In fairness, three quarters of church leaders in Staffordshire said they supported the idea. Presumably the rest were concerned about who was going to do the washing up. Joking apart, I do understand the need for considered debate when a faith organisation is seeking to overhaul long-established hierarchical systems. There will always be those who oppose such changes as they strike at the very core of their beliefs. Thus, I respect the position of people like The Reverend Prebendary Paul Lockett, of St. Mary and St. Chad’s in Longton who spoke for the minority at the Synod when he said that he “can’t acknowledge a woman bishop”. Or, as The Reverend Stephen Pratt, of St. Michael and All Angels Church in Chell, put it: “Jesus didn’t appoint female apostles… Jesus did not make women as leaders of his church”. In answer to that I would say that 2,000 years ago there were an awful lot of things women weren’t allowed to do which they are today. Back then women simply didn’t hold positions of authority in any walk of life – a situation which mortal men of the time were more than happy to perpetuate. You see, I’d like to think that if Jesus were alive today he would use whatever means necessary to get his message across to people. Maybe he’d be a rock star, win X-Factor, or have his own TV channel and website. I don’t think the battle of the sexes would even be on his radar because he’d recognise that civilised society has moved on a wee bit. Indeed, I think that most impartial observers would agree that the Holy Bible – which tells the story of Jesus’s life – is full of inconsistencies and contradictions and is very much rooted in the time it was written. That is not a criticism – more a statement of fact from a lapsed Methodist who views the Good Book as a guide rather than a rulebook. I can already hear the nay-sayers shouting that the Bible isn’t a menu from which you can choose the bits you fancy. However, there are things in the Bible which I can’t, in all good conscience, agree with. To be frank, to me the debate over the ordination of women bishops going on within the Church of England is much ado about nothing. I suspect most people – even those who attend church – don’t feel strongly either way. Why? Because it doesn’t really affect them. It is an issue which the shepherds may be debating but I’m pretty sure it is of little consequence to their flocks. I’ll tell you what the Anglican church should be debating and it’s not whether or not women should be allowed to smash through the ‘stained glass ceiling’. It is the ecclesiastical equivalent of the officers on the RMS Titanic discussing who should sit at the Captain’s table for supper as the stern of the ship is rising out of the water minutes before it sinks to the bottom of the Atlantic. Surely the real debate should be centred on how the Church of England – indeed the Christian church in the UK – makes itself more relevant to families in 2011. They should be holding crisis meetings about the falling attendances and the half-empty Sunday services. They should be asking themselves why such a small percentage of the population in this country actually bothers to attend church. They should be asking why so few young people and children are sat in the pews. Last week a friend of mine, a local Christian leader, invited me to attend one of a number of local churches which he assures me are vibrant and thriving and bear no resemblance to the gloomy picture I’ve just painted. I may yet take him up on the offer but I know that for every church he suggests I could find another 10 which are either mothballed, half-empty or only used every other week because the congregation is so small that it moves around. 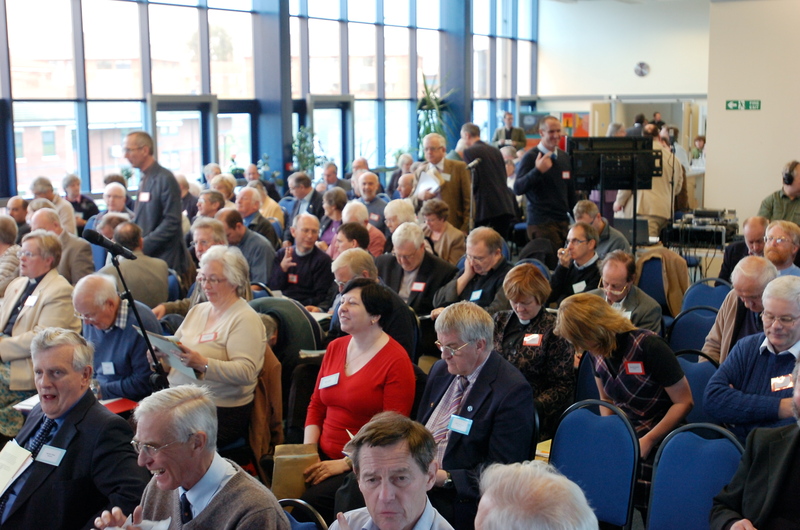 Just one look at the photograph taken by The Sentinel’s photographer at the Lichfield Diocesan Synod speaks volumes. It may as well have been taken in a church because no-one in the audience is under the age of 30. The fact is, and it genuinely grieves me to say this, the church is becoming increasingly removed from modern society and pointless debates over its internal workings serve only to underline its impotence. 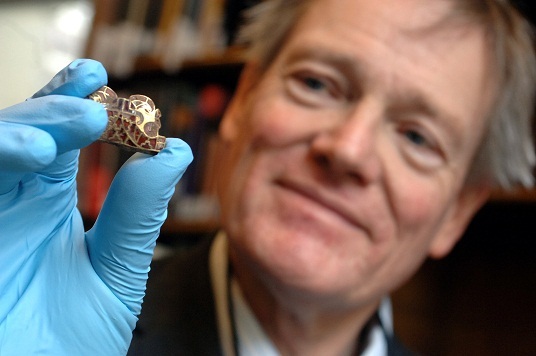 Roger Bland, head of the Portable Antiquities Scheme at The British Museum, examining Hoard items. The huge, wood-panelled doors opened and we were led down a long corridor flanked with hundreds of books in glass cases. Our footsteps echoed off the marble floor as we walked. We halted at a set of electronically-locked doors. Phone calls were made and, after several minutes, they eventually buzzed open. The room was what you would expect from the bowels of the British Museum. It was like the library of some stately home in an Agatha Christie novel, or the setting for some vital plot line in a Dan Brown page-turner. There were wall-to-wall books on two levels and the feng shui of a room devoted to scholarly pursuits was only disrupted by a large, beige, metal cupboard with a chunky electronic lock. Out of it were carried half a dozen plastic boxes full of smaller plastic boxes. Each one was numbered with a raffle ticket – strange, but completely logical given the number and variety of objects they contained. The treasure keeper, Ian, took the lid off the first box – and that’s when I got my first glimpse of the Staffordshire Hoard. It is genuinely breathtaking to be up close and personal to something so old, so valuable and so very rare. It didn’t matter that some of the objects were tiny or broken. I wasn’t disappointed in the slightest by the fact that many were still crusted with the earth from which they had been plundered. In a way, that clinging dirt was symbolic of Staffordshire not wanting to give up one of the most remarkable archaeological treasures ever found in this country. One by one I viewed the items – some no bigger than your little finger – from every angle. There were sword pyramids, pommel pieces, tiny golden snake clasps and eye-piece adornments believed to have come from a warrior’s helmet. None of it has yet been viewed by the public, that is until these items arrive at The Potteries Museum & Art Gallery in Hanley later this week. All this stuff, the booty of battle or a king’s treasury, was buried about 1,300 years ago by people who took its location to their graves. History doesn’t come much more raw than this. Although these 1,600 gold and silver items were found in the most remarkable circumstances in a field just south of Lichfield, they are as important to the people of Stoke-on-Trent as they are to our friends in Tamworth, Lichfield, Stafford and Birmingham. For, not only is The Potteries Museum & Art Gallery the recognised repository for all archaeology found in Staffordshire, but we are also at the heart of the ancient kingdom of Mercia from where these precious artifacts come. Well, for starters, prepare to be surprised. The wonders of modern photography show up the shiny brilliance of each golden fragment in wondrous detail. These images are used large in the media and on posters and display boards to enhance the experience for viewers and visitors. In reality, most of the pieces are tiny – no bigger than a couple of centimetres – fragile and still caked in soil. Even so, together with the larger mangled cross, helmet cheek piece, and a chunk of gold bearing a latin inscription from the Bible, they are all, in their own way, magnificent. The craftsmanship is truly astonishing. However, in order to ensure these windows to our past remain in the West Midlands, £3.3 million must be raised to purchase the Staffordshire Hoard. But, as well as putting your hand in your pocket, it is equally important that we support the campaign by voting with our feet – as the people of Birmingham did. Archaeologists, historians, politicians and celebrities all want the bid to succeed. Now it is up to the people of the Potteries to demonstrate just how much our history means to us. That’s another Bank Holiday break gone – another weekend chock-full of events for families to enjoy. 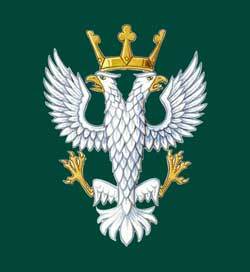 Did anyone attend the re-enactment event at the Staffordshire Regimental Museum yesterday or Sunday? No, you didn’t… because you couldn’t. Because the annual event, which raises much-needed funds for the museum dedicated to honouring the memory of those who have served with our county regiment, had to be cancelled. Why? Because a week before the show, a group of travellers turned up out of the blue and parked their caravans on land where the re-enactment was due to take place. They refused to move until yesterday, forcing officials at the venue near Lichfield to cancel the show – costing the museum about £3,000. That’s the cost, of course, before the operation begins to tidy up the mess left by these uninvited guests. This will involve cleaning up a Second World War pillbox they were using as a toilet. When asked when they would be moving on, a spokesman for the travellers said: “If the museum will provide us with another patch of land – a bit of wasteland will do – we will move before Saturday (the re-enactment was due to take place on Sunday and Monday). The barefaced cheek of this statement leaves me speechless. Why should the museum lift a finger to assist such a bunch of ignoramuses? I’m not sure what makes me more angry – the inconsiderate behaviour of this bloke and his clan or the inability of local authorities to tackle the nuisance that such travelling bands represent. I bet if you and I turned up with a few friends and parked up illegally in a field ahead of a major public event the boys in blue would be paying us a visit pretty sharpish. Of course, we wouldn’t do that, would we? Because we wouldn’t dream of spoiling the fun for thousands of visitors or depriving the museum of thousands of pounds in lost revenue. The frustrating thing is that this isn’t a one-off. Every couple of weeks in The Sentinel you can read stories of convoys of caravans arriving on waste land or in a field somewhere, using it as a base for several days, then vanishing and leaving local taxpayers or private landowners to bear the financial burden of cleaning up the mess. Last week there were groups of travellers parked in Shelton and off Westbourne Drive near the Tunstall Northern Bypass. Last month, another group descended on the former Chatterley Whitfield sports centre at Fegg Hayes – much to the annoyance of locals. Some will argue that those who kick up a stink about travellers are simply NIMBYs who should be more tolerant. But, given the associated noise nuisance and mess, should anyone really have to put up with a bunch of cars and caravans turning up unannounced and parking up on a patch of land near their homes for days or even weeks at a time? Of course not. Should taxpayers or private landlords have to foot the bill because these unwelcome visitors can’t be bothered to find a toilet or put their rubbish in a bin? No they shouldn’t. It’s not bloody Glastonbury. There are permanent sites for the traveller community all around the country and, following the Housing Act of 2006, all local authorities have to assess the accommodation needs for gipsies and travellers. Councils employ traveller co-ordinators to ensure the community gains access to health care and educational support. This is all well and good and, in this day and age, it is only right that all ethnic and cultural groups are given access to basic services. However, I can’t help but think that there is something very wrong with a system under which I can be fined for dropping a crisp packet but which allows scores of people to get away with parking illegally for weeks on end, churning up fields and creating thousands of pounds of damage and mess which others then have to pay for.